The practical realities of child custody mean one parent will inevitably be the primary caretaker for the child, and exercise a greater amount of the parenting time. All parents know how expensive it is to raise a child, and how critical regular child support payments are to fully meeting a child’s needs. 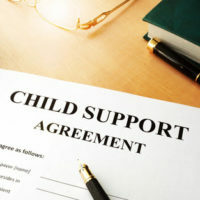 However, while most parents obligated to pay child support do what is necessary to comply, others fail to uphold their end, which, unfortunately, primarily impacts the child. The Florida Department of Revenue (DOR) and the courts have a number of enforcement options at their disposal to compel payment, but these measures only work when the location of the delinquent parent is known. The DOR has limited resources to find the whereabouts of parents with child support in arrears, which does not help the parent needing to resolve the situation. A recent article in the Palm Beach Post reports on the disappearance of a man behind on his child support by over $500,000. He left to go paddleboarding the same day he was due in court to address the outstanding child support, and has not been seen since. Parents owed support may be better served by trying to find the other party themselves, and a discussion of how to approach this endeavor will follow below. Trying to find someone who is determined to remain hidden is not easy, so parents choosing to delve into finding a former spouse will have to put in a lot of work. The biggest components of achieving success in this search is patience, tenacity, and a willingness to talk to as many people that know or knew the other parent as one can find. Locating an ex-spouse without outside help will present some difficulties over using professional services, but it will cost less in the long-term, and leave the parent in a better financial position when back child support is finally collected. Thus, a do-it-yourself attitude should be the first line of attack when official efforts by the DOR are not getting the necessary results. Once the decision is made to move forward on trying to find the other parent, figuring out how to obtain information is the next step. addresses of the other parent’s most recent employee and residence. Once this information is in hand, the parent seeking support can reach out to these contacts to ask for information. More often fruitful, though, is to conduct a general online search to see where the other parent’s name pops up. Beyond this method, submitting a request for a background report, which could show if the parent changed his/her phone number or his/her social media accounts. Social media is particularly useful for finding someone, and also for proving they have the ability to pay the overdue amount. Examples of pertinent information that could appear on social media include posts about upcoming trips or events and recent vacations. Once the parent’s location is verified or at least reasonably certain, contact a family law attorney about taking action to enforce the standing child support order. The stress of unpaid child support is no small thing, and if you are struggling to collect support from your ex, take some of the frustration and uncertainty away by working with an experienced family law attorney. 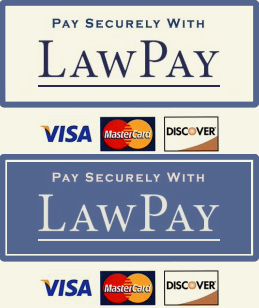 The Orlando law firm Donna Hung Law Group understand the dilemma you are facing, and will fight to get you the money you deserve. Contact us them at (407) 999-0099 for a confidential consultation.